So far the internet giant that controls the advertising market is Google. With most users, as well as numerous features, Google managed to get data from the global community to monetize itself without any revenue sharing. Users of applications and features provided by Google, generally do not get paid a single cent. Ads on Google have broad audience targets, and data from users are targeted by Google's advertising marketing. As long as we do not spend money to enjoy the product from Google, we are the real product. We can not control and monetize our data circulating in Google or Facebook. Thrive is a blockchain-based marketplace where one can sell and buy advertising for a low price. Thrive will revolutionize the data monopoly done by Google AdWords so that users on the internet can get rewards for the data they share on the internet. Thrive allows one to encrypt their data, to ensure data security so as not to be misused by a particular agency. For someone who gives permission for their data to be accessed by several people then the user will get paid for the contribution of the data. People will get paid when sharing data or reviewing an article on the website. This is the era where all internet users can monetize their data. 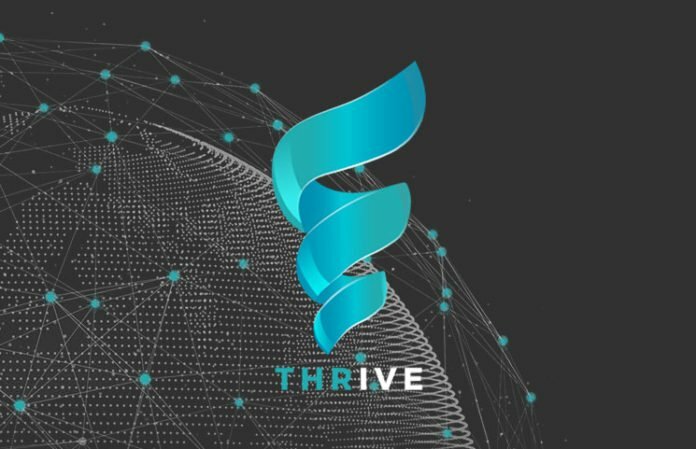 Thrive is fully decentralized with the implementation of Blockchain and Smart Contract technologies. Blockchain is a distributed ledger that contains immutable data data. All data stored on blockchain, will not be changed by anyone, so the validity of the existing data on blockchain, can be justified. In addition, all users can access the blockchain data by entering the hash tx, and easily someone will know the data in detail. This allows all connected ecosystems with blockchain, to be completely transparent. That way, blockchain technology can be ensured as anti-corruption and anti-fraud technology. While the use of Smart Contract is to speed up transactions between parties concerned. The working system of Smart Contract is a command will be automatically executed when some predefined requirements are met. Mass adoption of Smart Contract technology, causing some layers of society to gain high confidence in making a transaction even with a new person known. The backbone of Thrive's business model is a community of mutual transactions in the Marketplace. With massive community support, Thrive platform allows for greater functionality and benefits for everyone. Along with the massive adoption of digital technology, Thrive will support all internet activities for people to be more secure and comfortable. Some services that you can enjoy as users are as follows. Thrive will enforce KYC (Know Your Customer) and AML (Anti Money Laundry) and keep anonymous data on Thrive Blockchain. All control over the data, only you can access it, because the data stored will be encrypted and only 1 key you have that can open your own data. Ad Exchange is a platform based on RTB (Real Time Bidding) that allows a publisher to determine the type of typology of ads received and discuss the price of ads that appear on his website. At the same time, an advertiser can determine the maximum of their highest bid, and others set the specification of the ad you want to show. With the AI (Artificial Intellegence), Thrive can strengthen and cultivate the processing of data generated from the community in large numbers. Data processing is done by linking reviewers' data and incoming traffic data providing concrete guidance for site curators to improve their user experience. On DMP side, it represents the beating heart of Thrives Audience analytics, Predictive retargeting and Customer segmentation functionalities will ensure a high conversion rate. Thrive issued an official token that can be used for payment tools in enjoying the services provided by the platform. How to get this token is by buying on Thrive Token Sale event. Token Sale is a fundraising event to the public, especially the cryptocurrency community to offer a new token that has certain utilities. Thrive Token Sale will offer a THRT Token that can be used to enjoy the services of the Thrive platform for a special price. All investment decisions, purely on your own initiative. I am not responsible for the decisions you make. So far we are used as an advertising product by Google. As long as we interact with social media, platform, YouTube, Google Drive, android and other features provided by google, we do not make any pennies. But Google gets our personal data, including our sensitive data. With Thrive, I'm sure all data control will be easier to do and also we get a reciprocal relationship in the form of profit sharing for our contribution. Let's succeed Thrive platform to feel the freedom of surfing fairly.